When getting started with solar energy, the single most important step you can take is to create a Solar Energy Master Plan for your home. 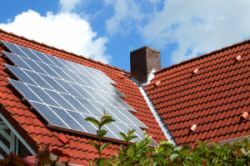 There are many ways you can take advantage of solar energy for your home. Some of the applications that will be suitable for your home will be simple while others will be complex, some will be inexpensive while others will be costly, and some can be done by yourself while others will require you to use professionals. Getting started with solar energy can be a daunting task. 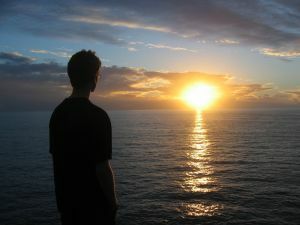 But by using a Solar Energy Master Plan, you will be able to find YOUR best way forward. What is a Solar Energy Master Plan? A Solar Energy Master Plan is like a map. It provides you with a holistic view of your path to solar energy usage for your home. Based on your solar energy goals and vision, your Solar Energy Master Plan will give you a clear picture of the solar energy applications you will need to implement and in what order they should be implemented. Why Use a Solar Energy Master Plan? A Solar Energy Master Plan clarifies your solar energy vision. By clarifying your solar energy vision, you can determine which applications are needed to make it a reality. The real power of creating your solar plan is that it allows you to prioritize each solar energy project based on your goals and constraints. This will enable you to focus on the right solar project at the right time and guarantee that you make progress towards realizing your solar energy vision. When you're getting started with solar energy, having a Solar Energy Master Plan puts in place the project management principles that will help you succeed. Are you ready to get started with solar energy? The first action you need to take is to understand the fundamentals of solar energy and the different solar applications that are useful for homeowners. In addition to reading the information here at Solar Energy At Home, you may want to take a look at other quality resources such as Mother Earth News or Homepower Magazine for practical renewable energy information focused on homeowners. Once you understand solar energy and it's applications, it's time to take a look at your home and it's surrounding environment. You'll want to have a home energy audit performed. A home energy audit will tell you how much energy your home consumes and help you identify actions you can take to make your home more energy efficient. You'll also need to have a solar site survey of your home performed. A solar site survey will tell you how much solar energy you have access to. This will take into account the available amount of solar energy for homes in your area and any obstacles that will prevent sunlight from reaching your home. This will help you determine which solar applications are best suited for your home. Why do you want to go solar? Why is solar energy important to you? Whether it's to have a positive impact on the environment, become more energy independent, or to save money, understanding what is driving your move to solar energy will help you determine which applications you should focus on. Once you have defined your solar energy goals, it is very important to create your solar energy vision for your home. Your solar energy vision is simply what you want your solar energy home to be when all of your solar improvements have been completed. Think of it as your destination. Now it's time for the fun part! In this step, you get to identify the concrete steps you will take to bring your solar energy vision to life. 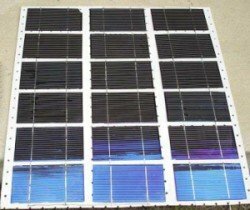 What Solar Applications Will You Implement? When Will You Implement Your Solar Applications? Who Will Implement Your Solar Applications? Hire a contractor who specializes in solar installations. You can find one at online contractor directories such as eLocal.com, a directory of plumbing, roofing, and electrical contractors. All the research you did earlier to understand solar energy and your home's environment combined with your solar energy goals and vision will guide you in deciding which solar applications you will implement. However, before you start implementing your solar applications, you should first take the results of your home energy audit and make your home more energy efficient. This is especially important if you are interested in solar electricity applications. Once you've identified the solar applications you will implement, you need to decide when each one will be tackled. This can be decided by each applications priority, cost to implement, complexity, available tax incentives, and many other criteria. By sequencing the implementation order you will be able to focus on one solar project at a time which will ensure you make progress towards your solar vision. For each application, you will need to decide if you would like to handle it as a DIY solar energy project or use a professional. For most people, solar economics will be a major factor in answering these questions. 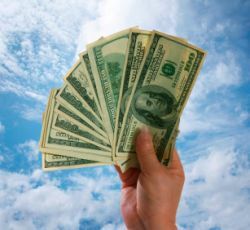 Costs, financial incentives, and investment returns will be a factor in deciding what you implement, when it is implemented, and who implements it. When developing your Solar Energy Master Plan, it is ok to go back-and-forth between the different steps. All of the steps are connected to each other, so as you make decisions in one area, it may cause you to change something in another area. This is completely normal during any planning activity. Take as much time as you need to create your plan. Creating a Solar Energy Master Plan takes a little bit of effort and a little bit of time. But it is time well spent when you are getting started with solar energy.